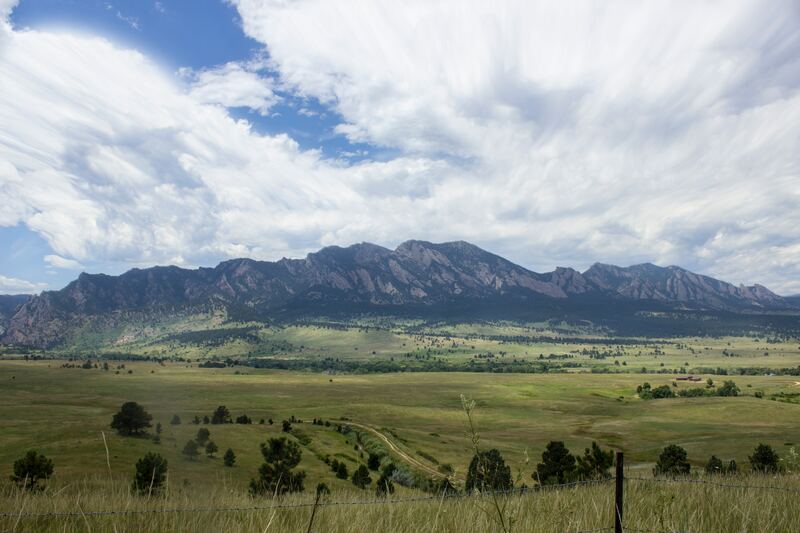 When you live in a place like Boulder, Colorado, surrounded by breathtaking scenery and people who happily separate their trash, recycling, and compost without a second thought, it’s easy to take for granted the community’s commitment to environmental stewardship. But the truth is, we humans have a long road ahead of us if we want to save the Earth. Now, more than ever, the future of our amazing planet—and the survival of its inhabitants—depends on each of us and the choices we make in our everyday lives. The word “sustainable” gets thrown around a lot these days, but what does it actually mean? When we talk about sustainability, we’re referring to the practice of reducing resource consumption, creating durable and reusable products, and recycling those no longer of use, all in an effort to maintain ecological balance. With this Sunday being Earth Day and all, we thought we’d take this opportunity to share some of the things you can do to adopt a more sustainable design practice, and how we incorporate them into our work as a design and advertising agency. It’s 2018, and like it or not, print is out and digital is in. While the veteran designers among us may wax nostalgic about the good old days (and don’t get us wrong—a big, beautiful print still makes us swoon), printing just isn’t good for the environment. Most of our work at Oblique Design is done digitally, including note-taking, creative review, timelines, and budgets. Unless a client specifically requests a paper copy, all project files are delivered electronically. If you have the choice, go digital. Our forests will thank you. Separating garbage into trash, recycling, and compost has become common practice in Boulder, thanks to the city’s Zero Waste initiative. Recycling and composting whenever possible helps reduce the amount of waste that ends up in landfills, dumps, and worse, oceans. Our office provides receptacles for recycling and compost, and encourages all team members and visitors to use them. Sharing is caring, and when you share energy consumption with others, you’re showing that you care a lot! Taking the bus to work, carpooling, joining a co-working space, or just bringing your laptop to a cafe somewhere are all great ways to reduce your carbon footprint. We know we rave all the time about how much we love working at TEEM, but let us reiterate: it is so awesome. In addition to all the fantastic relationships we’re building, we’re conserving resources by sharing electricity, heat, water, and other utilities with a group of 30+ people. Sometimes in the design business, printing is unavoidable (packaging design, for example). If you must print, doing it with sustainable materials, such as veggie-based inks and recycled paper, definitely makes a difference. At Oblique, we do our best to choose print materials that are eco-conscious while still delivering beautiful results. In the information age, the road to becoming an eco-warrior is paved with research. Luckily, there are plenty of resources out there to help you learn and stay up to date. Doing a little homework every now and again empowers you to make informed decisions about sustainable design practices. We make it our mission to stay informed and ahead of the curve. We research the materials and processes used in the design and creation of physical packaging, and choose methods that reduce our environmental impact as much as possible. Now that you’re on your way to adopting more environmentally friendly practices in your design work, we urge you to share what you’ve learned with others. By sharing our knowledge and passion for sustainable design with clients and others in our industry, we can create real change in both the design world and society at large. So, you see: it is, in fact, easy being green. This weekend (and beyond! ), show Mother Earth some love by choosing eco-conscious graphic design practices. Happy Earth Day! Wow, I never took into account the fact that there are veggie-based inks out there which makes it a greener choice when printing out designs. This is a great tip because my products are advocating saving the mother earth. I have made recycled house decorations, and I plan to hire a creative agency to help me advertise my work. I will make sure to look for a company that also has the same advocacy like mine. Thanks!